I was trying to find a gif of a car doing a donut, I found this. So much for showing my excitement about the new CR-Z announcement. 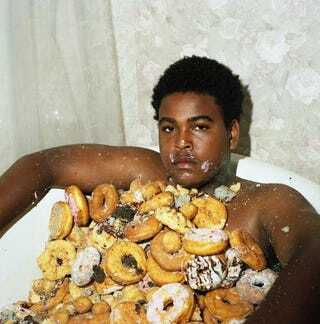 Unless you have a thing for men bathing in donuts (I don't judge), in which case, you're welcome.